But I fail to keep a decent space between the groups titles and the previous lines. 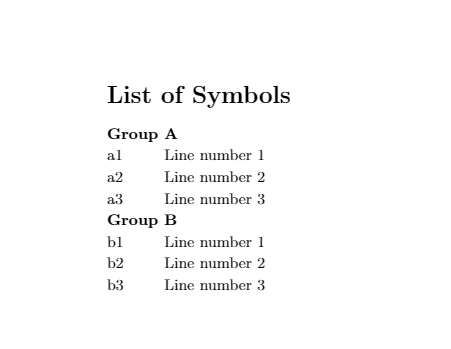 For example here the space between "Group B" and "Line number 3". How can I increase this space while keeping the space between each line small? Browse other questions tagged etoolbox nomenclature nomencl or ask your own question. Nomencl package - line of text before symbols? Change nomencl sort order of groups (not within groups)?